I own this field. And I wrote this sky. Last night Tom’s parents invited us for dinner to their caravan, where they were staying for a week in a caravan site near Brockenhurst in the New Forest (just down the road from us). 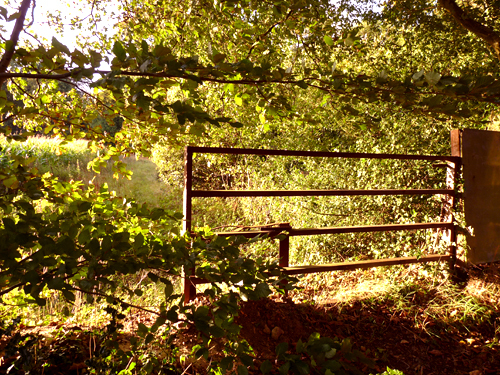 Being a man, Tom decided to take all the back roads to get there and I had to hop out and take a few opportune photos of the lovely early evening autumnal sunshine. I have to apologise to Tom’s parents, who asked if I was to going to put any photos of their caravan on my blog – as I was too busy stuffing my face with caesar salad, olives, cheese from Lymington Market, roasted vegetables, bruschetta, corn on the cob and chicken and sausages from the barbecue (I know, what a spread!) to think to get my camera out once we’d arrived. We had such a nice evening sat in the awning with a few glasses of wine, and their caravan is also the height of luxury – I think if I was them I’d be tempted to live in it! I can’t think of anything better than spending a week in the forest going on lots of walks and having lots of barbecues. 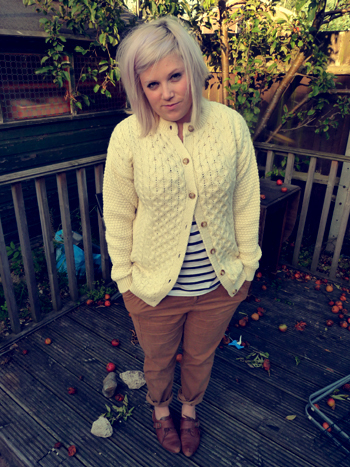 I have been hunting for a new woolly cardigan to add to my A/W wardrobe, and after seeing someone recommend Edinburgh Woollen Mill on Twitter I popped in and snapped up this 100% wool cardigan at the weekend. It is so warm, I know I will get loads of wear out of it – it’s not an ideal match with this outfit but I was desperate to give it its first outing! These little shoesies arrived for me this week. 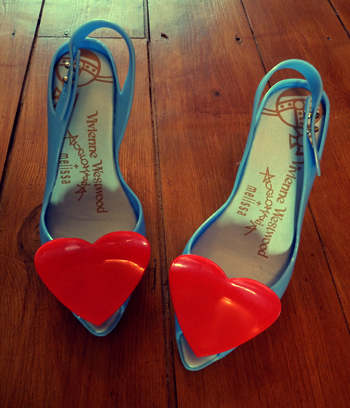 Would you know they weren’t really Vivienne Westwood/Melissa? I picked them up on eBay after seeing them in one of VIPXO‘s designer inspired eBay posts and I’m chuffed to bits with them – they even have a slightly cushioned insole so they’re really comfy to wear. I’ve always wanted a pair but never been able to afford them so I’m thrilled to bits with them – they were under £20 too! Unfortunately it doesn’t look like the seller has any more pairs! 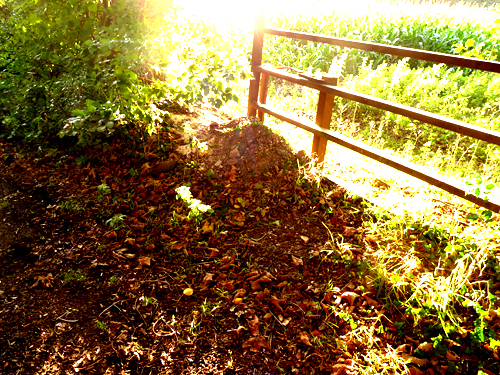 On a final note, just for the lols … I made an animated gif out of me trying to take some photos of my outfit – I was standing in front of our apple tree which has recently been discovered by a family of wasps, only I discovered this at the last minute as two or three swarmed round me!